Description: Legend has it that the founder was Hercules when, returning from the Pillars of Hercules (Spain), he stopped on the coasts of southern Italy. In the neighboring areas, graves of Magna Graecian origin have been found. The history of Tropea begins in Roman times, when along the coast Sesto Pompeo defeated Cesare Ottaviano: to the south of Tropea the Romans had built a commercial port, near the present Santa Domenica, in Formicoli (toponym derived from a corruption of Foro di Ercole ), of which Pliny and Strabone speak. Due to its characteristic position as a terrace overlooking the sea, Tropea played an important role, both in Roman times (attested by the granite quarry that rises about 2 km from the town, in the current municipality of Parghelia) and in the Byzantine era; there are many remains left by the Byzantines, such as the church on the promontory or the city walls (called precisely "walls of Belisario"). After a long siege, the city was torn from the Byzantines by the Normans, under whom it prospered. Tropea continued to prosper even under the rule of the Aragonese. 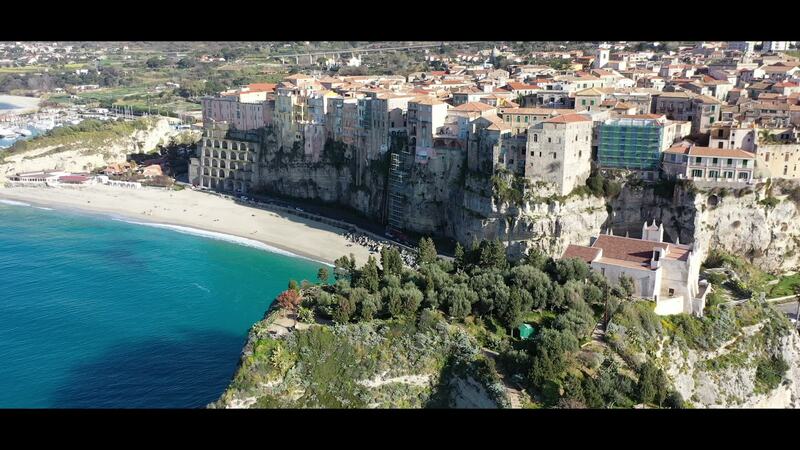 On February 4th 2016 the UNESCO Tropea Costa degli Dei Club is born.